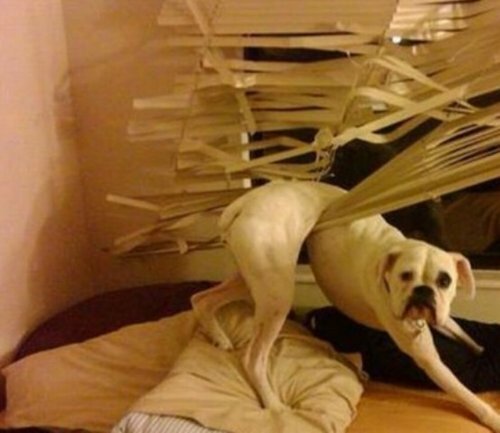 Sometimes dogs do things they shouldn't, but not these dogs. They have definitely not done anything wrong. 1. "I can't be guilty. I'm just a rug." 2. "It was just gonna be a fart." 4. That look when you steal a sausage, but it turns out to be a cucumber. 5. "Who was rolling on the lawn?" 6. "Dude, help me out here." 7. This dog is disappointed your underwear aren't sexier. 8. When you're caught barking up the wrong tree. 9. We haven't found what they broke yet. 11. "Why do you always assume I'm the one who got into the garbage can?" 12. "What Girl Scout cookies?" 14. 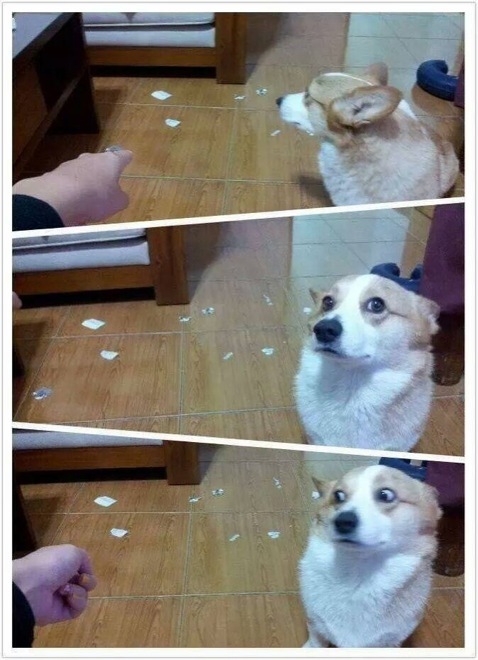 "I think the cat did it."